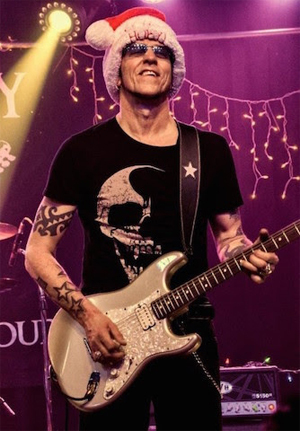 Gary Hoey will embark on his annual Ho Ho Hoey Holiday Tour this December with thirteen dates planned coast to coast. The excursion has become a tradition with radio stations and families across the country. It's a must see event for adults and kids alike. Hoey has been a driving force behind instrumental rock Christmas music since 1995 after his version of “The Twelve Days Of Christmas” hit the airwaves with its crunchy guitars and metal flavor. This also marks the 8th annual guitar give away on Christmas Day at Garyhoey.com.